DUNCANVILLE—The only thing longer than the game between Duncanville and Plano East Friday night is the checkout line at Walmart. Penalties, time outs, officials huddling, delay of game and injuries took time. Some of the penalties were costly. One such infraction cost Duncanville a 80-yard kickoff return for a touchdown. When asked who on the team he thought was special, he replied, “They are all special.” Despite nine penalties for 90 yards, a fumble lost, and a critical pass intercepted, Duncanville won the game. With less than a minute left in the game and Duncanville driving toward the goal, they fumbled the ball, but recovered it in the end zone for the TD. Duncanville led Plano East 15-8 at the end of the first quarter on a pass from Jaylin Nelson to Tre Siggers for a six-yard touchdown. The two-point conversion by Nelson was good. Then Jakari Brook caught a pass from Nelson for a score and the PAT by Blake Thomas was good. But with 10:57 left in the half, Plano East tied it 15-all. Then each team would score a touchdown. Duncanville scored on a 41-yard pass from Nelson to Mackendrick Jackson. 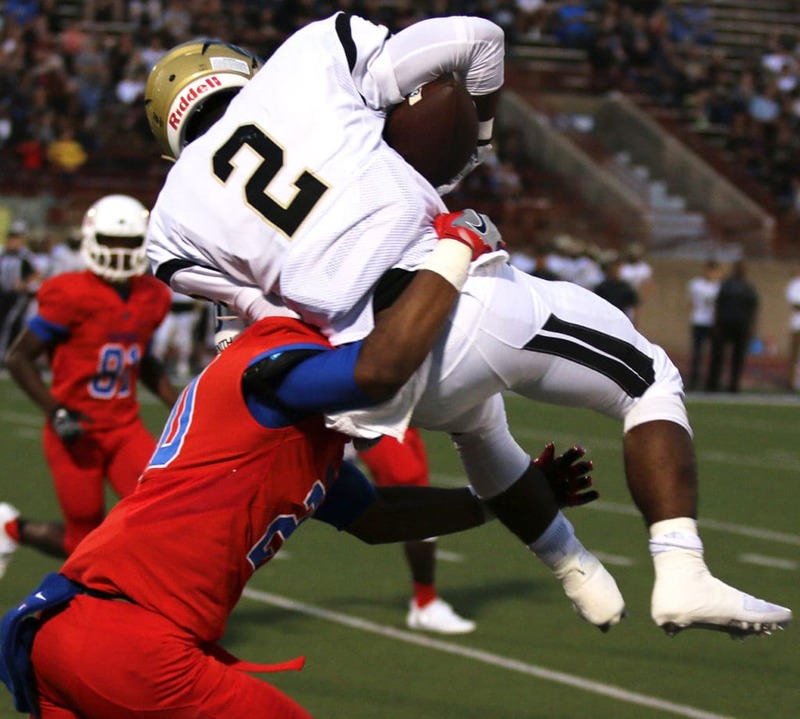 After a pair of interceptions by both teams Plano East capitalized on a Duncanville 15 yard penalty putting their offense within striking distance of the red zone. It was then that Quarterback Mikklo Smalls completed a 23-yard pass to Michael Folorunso to score and tie the game 22-all at the half. In the third quarter the only scoring was a 29-yard field goal by Plano East giving them the lead 25-22. 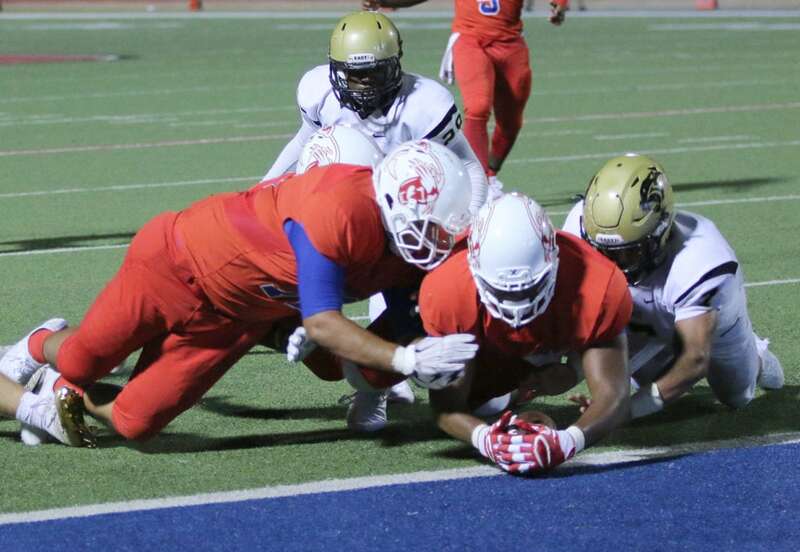 A 22-yard run by Brooks with a successful extra point by Thomas returned the lead to Duncanville. But Plano East had a determined drive, then, scored giving them back the lead, now 32-29. As the clock ticked down, a fumble recovery in the end zone gave the Panthers the lead with less than a minute left in the game. Plano East would make a valiant attempt to save the game by quickly gaining good field position. 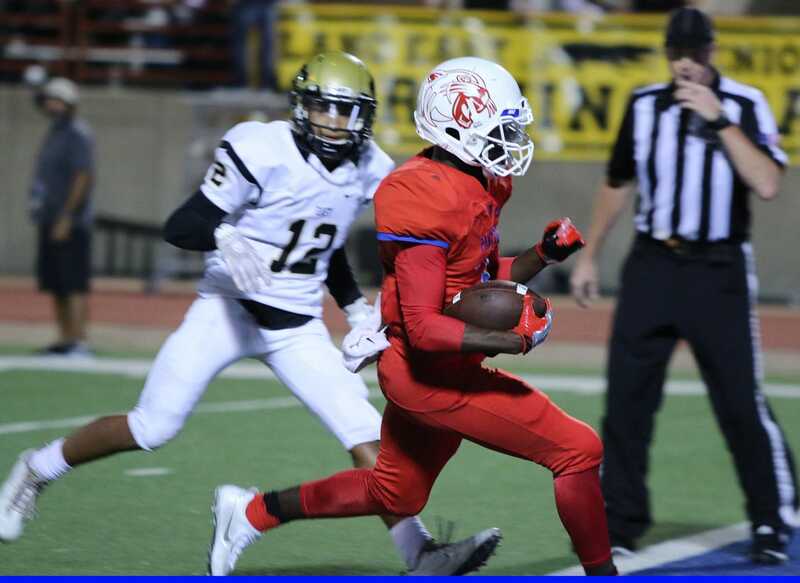 After a couple of incomplete passes, Duncanville sophomore Treshone Devones intercepted a pass, breaking the cornerback and killing all hopes of a Plano East comeback. The final nail in the coffin was Duncanville’s triple succession of first down conversions from their own 30 yard line, resulting in a recovered fumble in the end zone by Justin Smith. Duncanville would rack up 279 yards in the air and have a ground game of 150 yards while totaling 23 first downs. Jakari Brooks led all Duncanville rushers, going 11-69. Tre Siggers had 12 catches for 135 yards for the Panthers.